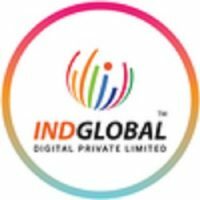 Organization Indglobal Digital Private Limited – Graphic & Logo designing, e-commerce, and digital marketing – Bangalore, India. A web-designing and web-development company in Bangalore, India, Indglobal Digital Private Limited offers unique services on graphic designing, logo designing, e-commerce and digital marketing platforms. The company has profoundly managed to be at the top of corporate rankings by winning many promising awards, including few for the best web design, development and mobile apps development company in Bangalore, India. Ten years before we were just beginners with web-designing. But with a decade-long experience now, we are now leader’s choice for unmatched premium web development company. The company owns 10+awards, 5000+ Projects completed, 200+Ongoing projects, 700+ Returning clients each unique and innovative. Indglobal renders services to its clients such as Toyota, Jockey, Bosch, Quikr etc. and ensure that they get best of our services. Since, ten years we at Indglobal Digital Private Limited have provided services such as digital marketing, app development, logo designing, graphic designing etc to several companies. Our team comprise of software developers and app developers and we all work together to provide the best customer services possible. Our satisfied clients across the world are Decathlon, Toyota, Jockey etc, and their testimonies paved way for the company to be one of the most promising digital marketing solution provider company. Our company also provides industry’s best Magento e-commerce solution provider in Bangalore, India.